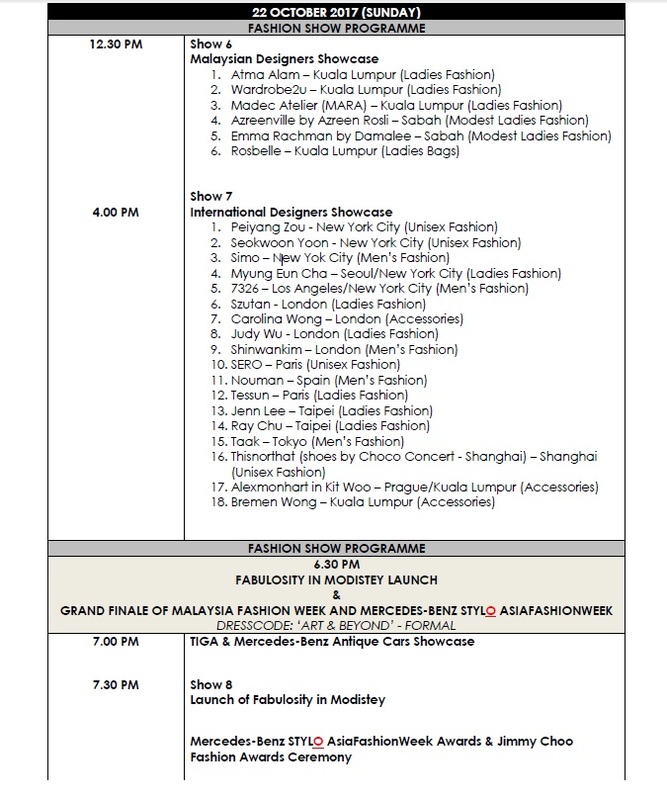 The Malaysia Fashion Week (MFW) returns for its fourth edition with the theme ‘Art Beyond Fashion’ – The Capsule Collection. In line with the theme, this year’s MFW will be a blending of art and fashion, featuring artistic displays of the many fashion and lifestyle capsule exhibition clusters and galleries, fashion shows by local and international designers, and a showcase of antique Mercedes-Benz cars and TIGA motorcycles, vintage Coca-Cola collectibles and other activities. 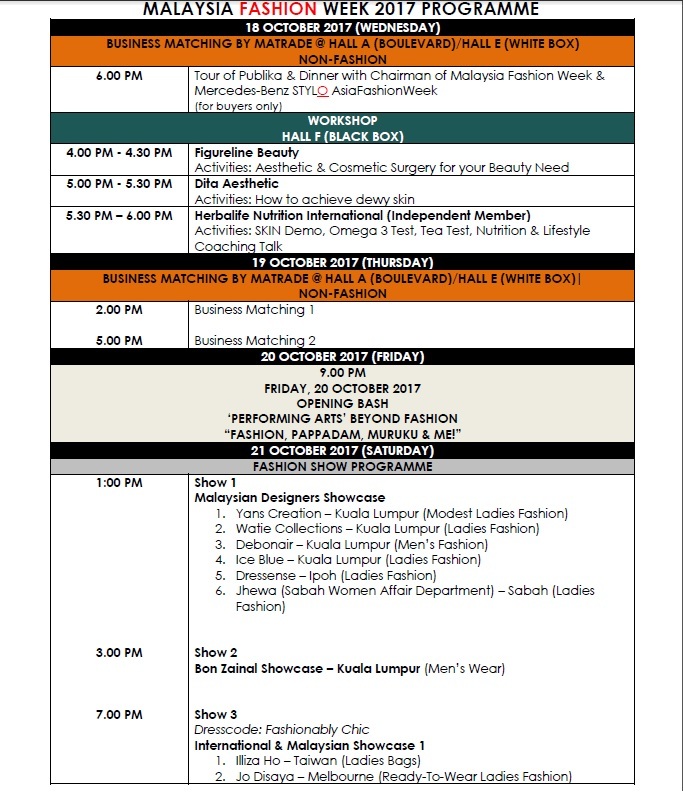 Coinciding with this year’s Deepavali Celebrations, MFW 2017 will begin with a fashion and lifestyle exhibition throughout Publika which is opened to both trade and public visitors featuring various clusters which are: Fashion, Modest Fashion, Menswear and Lifestyle, Beauty, Hair, Aesthetics and Wellness. 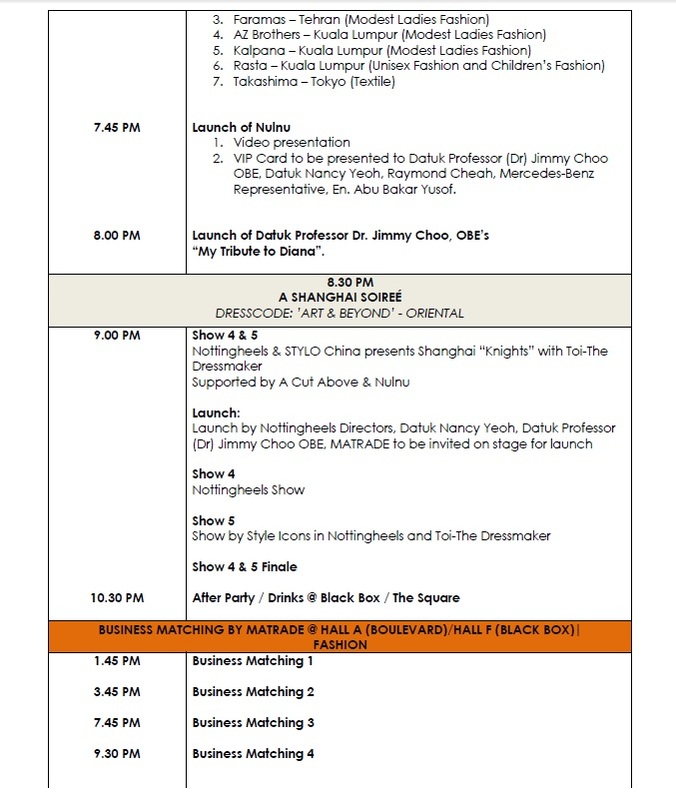 The clusters for this year are curated by some of the most experienced names in Malaysian fashion and lifestyle industry such as Bon Zainal, Mahani Awang, Datin Maylene Yong, Datin Winnie Loo, Professor Dr. Coco Alex and art curation led by Professor Derek Tolcher, Linton University College.